Brace yourselves, the rest of the week around here is going to be loaded down with vintage heavy equipment. 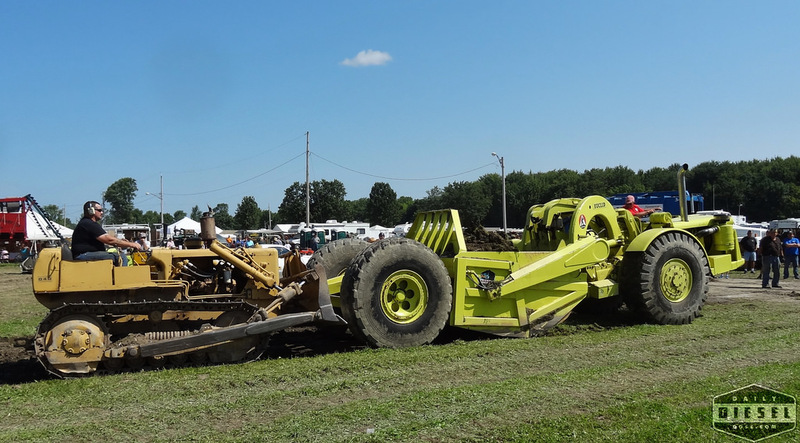 As I mentioned before, this past weekend was the national meet for the Historical Construction Equipment Association in Canandaigua, NY. The event happened coincided with the annual Pageant of Steam so there was more than enough to watch, photograph, and enjoy. One of the first pieces of equipment I noticed was this 1954 Euclid S7 scraper. 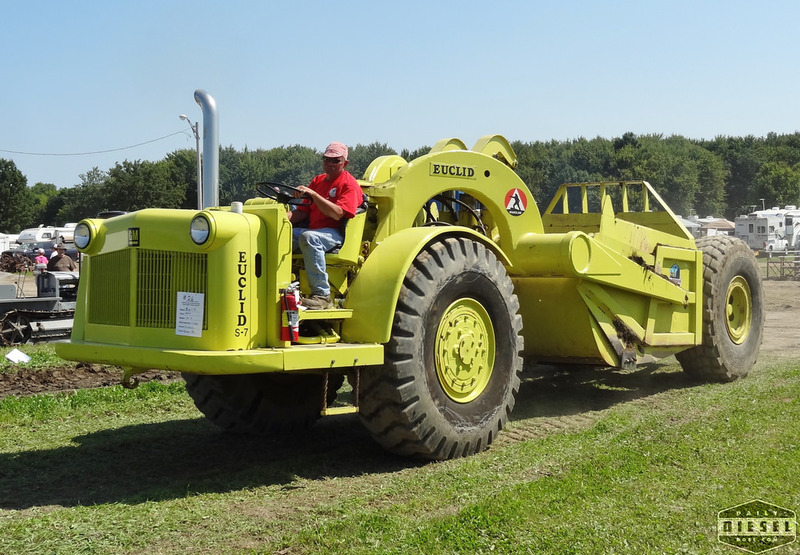 Powered by a 4-71 Detroit Diesel attached to a 5 speed manual Clark transmission this green machine has a 7 yard capacity. You might be wondering why the operator is destroying a perfectly good grass covered parking lot with the Euc. I know I thought the same thing. At first glance it would appear that a free-for-all was taking place with HCEA members digging, pushing and dumping soil wherever they please but it turns out a perimeter road of crush stone was being constructed over the three day event. What you watched in the video above was the start of the final segment. Later we’ll seen dump trucks dropping gravel and dozers spreading it out. A little googling discovered a video with the operator of this machine talking about the reasons why he enjoys the S7 so much. Click here to watch. 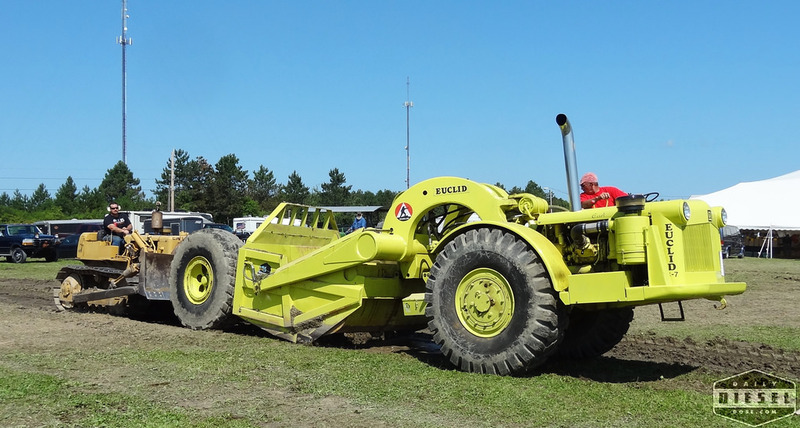 Tomorrow we take a look at some vintage heavy iron bulldozers. 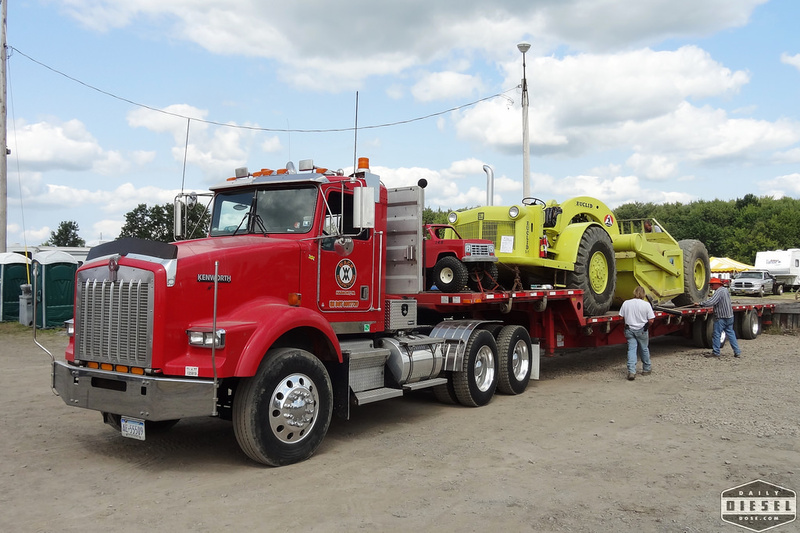 The Cat D9 and the International TD-24! 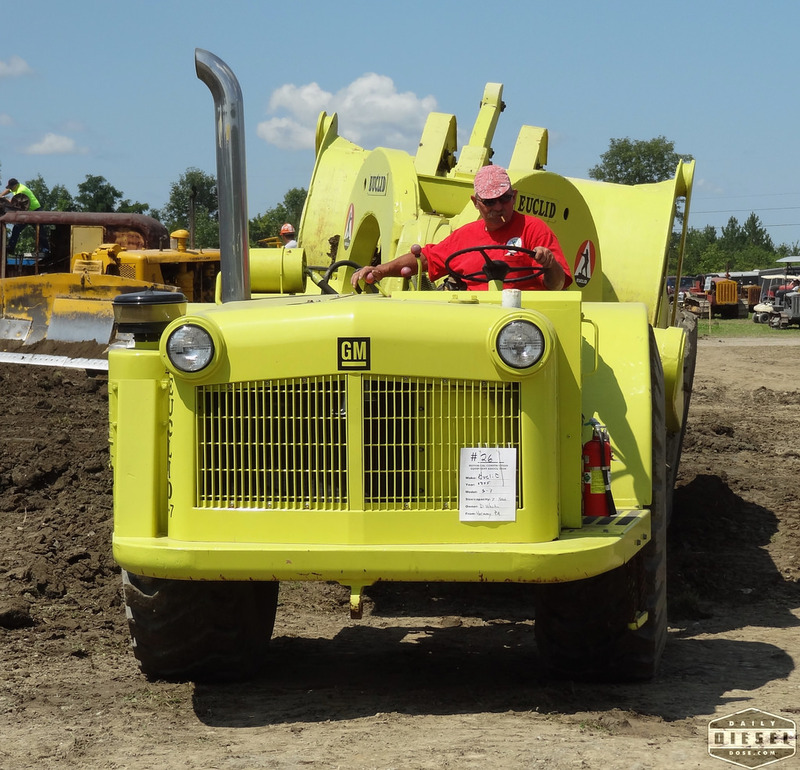 This entry was posted in Truck Show and tagged Canandaigua, detroit 4-71, euclid s7 scraper, hcea, historical construction equipment association, pagent of steam. Bookmark the permalink. Keep the vintage equipment coming!